I just got back from ShareASale ThinkTank 2011, which took place May 25-27, 2011 at the Westin in Chicago, IL. The first day started with an evening event where attendees got together to network at the Epic Restaurant and Rooftop Sky Lounge. Unfortunately, I got in late and missed this one, but was primed for big action the next day. Day two started with a series of breakout sessions, and I was on the Mag Mile Buying Trends panel to discuss what is happening in the world of webtrends, such as the buying habits and observed behaviors of several different demographics encompassing age, gender, and niche. The sessions were followed by a networking break to fuel up on caffeine and brain food. Later on, there was a networking lunch, where we enjoyed some local fare like Chicago hotdogs. Lunch was followed by a series of Affiliate-Merchant Private Meetings, where dozens of companies got face time with a bunch of current and future affiliates. After the meetings wrapped up, many attendees headed to Game 5 of the 2011 Eastern Conference finals between the Miami Heat and Chicago Bulls. The final day kicked off with yet another tasty networking breakfast. And then there was the closing ShareASale “Things We Need to Fix” session. This is an open forum, hosted by Brian Littleton, President and CEO of ShareASale, where attendees are able to share their thoughts on improvements and changes. After the “Things We Need to Fix” session, we all headed to see the Chicago Cubs and Pittsburgh Pirates baseball game from the 3936 Wrigley Rooftop. This was a fantastic way to wrap things up, as it was sort of a multi-floor skybox to watch the game and chat with fellow ThinkTank attendees. Check out the Tweets from ThinkTank with hashtag #thinktank11. Affiliate Summit ran a free webinar on launching a new web based business recently, and it’s now available to watch on demand for free. Watch this webinar if want to learn from Jay Berkowitz about selecting a business model, developing a website, generating web traffic, search engine optimization strategies, and monetizing the website. Jay Berkowitz is author of “Ten Golden Rules of Online Marketing”, host of the Ten Golden Rules of Online Marketing podcast, CEO of Ten Golden Rules and founder of the Internet Marketing Club. Organic SEO Site Review panel from Affiliate Summit East 2009, which took place August 9-11, 2009 in New York, NY. Sites reviewed for SEO by a panel of experts in the SEO industry. 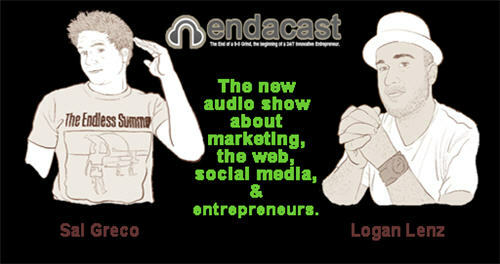 I was recently on the EndaCast podcast with hosts Sal Greco and Logan Lenz to chat about some of the ins and outs of getting started in affiliate marketing. We also touched on the origins of Affiliate Summit, how I am getting my 12-year-old daughter into affiliate marketing, and answered some listener questions. Plus, Justin Rondeau of Template Zone popped in with some news on the new Insights features inside Facebook pages. Listen to the episode at http://endacast.buzzsprout.com/3563/26235-episode-5-w-shawn-collins-of-affiliate-summit. The fourteenth issue of FeedFront Magazine is out, so we’re on to issue 15. The next issue of FeedFront will be coming out in August 2011, and the deadline for article proposals for issue 15 of FeedFront is June 3, 2011. We will contact everybody who submitted a proposal by June 10, 2011 on whether the article ideas are accepted or denied. Q: I am reasonably new to the affiliates market but the website I work for has a great affiliates programme I want to promote. We have around 80 affiliates now but only 10 really sell. I was initially told that affiliate directories were the way forward but have since read a blog by you thats suggests otherwise. You said at one point that ranking highly in a google search for keywords for your website and the word affiliates is best. How exactly do you achieve this? Our PR rank is 5 which is similar to our competitors yet they rank alot higher than us on these searches. A: For that particular issue, it’s more an SEO thing than an affiliate thing. Anyhow, one thing I did in the past to enhance the presence of affiliate programs I managed in search results was to create a standalone site dedicated to each affiliate program. For instance, if the company for the affiliate program is Acme.com, go out and get AcmeAffiliate.com and build it into a resource for that affiliate program. What I would do was to make the site in the same look and feel of the main site, but the site is all about the affiliate program with details on applying, examples of create, FAQ. Also, it’s good to include a blog with the latest information on the affiliate program to keep the site fresh and useful. The naturally keyword rich original content will help you with your search engine marketing efforts. Another search related technique, though not SEO, is to use Google AdWords or other paid search options to advertise to prospective affiliates. I have been reading the reactions from folks on Twitter to my Affiliate Summit partner Missy Ward’s keynote at SheCon, and by all indications, she killed it! SheCon is an offline extension of the SheBlogs.org community, and the conference took place in south Florida. Her presentation was on Successful Strategies for Monetizing Blogs Using Affiliate Marketing, and you can check it out at prezi.com. Web 2010 – Ten Trends Defining Your Future presentation from Affiliate Summit East 2009, which took place August 9-11, 2009 in New York, NY. As the internet becomes the critical hub for all business and personal communications, discover ten trends that will allow businesses and individuals to differentiate themselves and succeed online. My treadmill desk, for working and getting some exercise at the same time, is a work in progress, and I just have one piece remaining to make it just right. I’ve got a TV attached to the wall, and a computer with WiFi to run things, but I can’t seem to find the right desk solution to make it all ergonomic and comfortable. I tried a Lapdawg, but I was not happy at the height of it – too much crouching down. 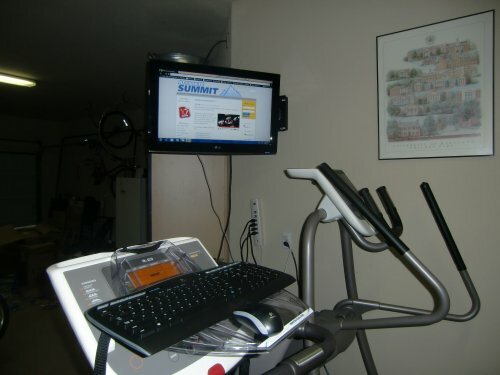 So I got a SurfShelf – perfect height if I am using a laptop, but I don’t want to use a laptop when I am on the treadmill. Sweat and general grossness have no place on my laptop, and I don’t want to be freaked out about spilling some water on it. I want to use a wireless keyboard and mouse with my computer, but that’s not happening with the SurfShelf. There’s just no space for all of it. Maybe I just need to customize a desk onto the treadmill or have it up from the floor. I’ll share all of the specs of the stuff I am using when this is all worked out. P.S. No need to tell me it’s better to get outside to exercise – I run, walk or bike outside when it’s nice. Otherwise, I go to the gym. The treadmill desk is for those days when I don’t have time for my work and my workout. Q: I am a Merchant and I am gonna launch my site soon. I have two questions first how can i get my name out there so affiliates can promote me, and can I use my web sites built in affiliates program or do I have to use a program like Commission Junction? A: There are a number of ways to go out and promote your affiliate program. One quick, easy and cost efficient method is to use Google Adwords. Just bid on terms related to your offer with the words “affiliate program” and write an ad pitching your affiliate program. Lots of people search for relevant affiliate programs by searching on Google. Make a handful of variations of the ads to test which work best. Another tactic is to get active in the affiliate marketing community by commenting on blogs (useful stuff – not just to drop a link to yourself) and affiliate marketing forums. Make yourself available as a resource without looking for anything in return. That sort of help serves as a subtle ad for your affiliate program. Also, you should have a presence at affiliate marketing conferences. Phone, IM and email will only take relationships so far – it’s a whole different situation in person, where you can work out special arrangements with big performers, get their candid feedback, and learn some new and better ways to do what you do. As far as your other questions, if I understand you correctly, you’re asking if you can use software to run your affiliate program, rather than Commission Junction or another affiliate network? While the option is out there to use software, I would highly suggest you run your affiliate program through a network. Personally, as an affiliate, I am far more likely to promote a company in an affiliate network. It’s somewhat out of laziness/efficiency, as I do not want to have hundreds of logins. I’d rather have a handful of accounts to manage my affiliate reporting and other associated tasks. You may be able to build up a decent affiliate program outside of the networks, but it’s going to be a lot more work.